Don’t be fooled by the EU ban on animal testing for cosmetics! Companies still test abroad and import cosmetics to the European Union. In March 2014, Cruelty Free International together with Forgotten Animals has reached out to the Russian Government with the request to join a global cruelty-free movement which lobbies a ban on animal testing for cosmetics in all countries. This request rests on fundamental scientific research and reports on alternative testing methods, which allow this ban to be implemented. The report is based on scientific progress and successful implementation of the ban in many countries, including the European Union, India, Israel and recently even Japan (from June 2014). 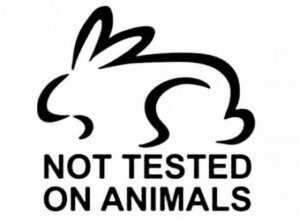 11 March is the date when European Union took the historic decision to ban animal testing for cosmetics and cosmetic ingredients, in this way ending unnecessary suffering and deaths of millions of abused animals. However, the world is still not free of cruelty! At the meeting on March 11, 2014 in Russia, attended by Dr. Nick Palmer, Director of Policy Cruelty Free International; Maxim Shingarkin , Deputy of the Russian State Duma, Head of Government Working Group on development of The Federal Law on Responsible Treatment of Animals; Saharov Dimitry Andreevich, Phd, Director of Bioclinicum and other scientists who are working on developing alternative testing methods. The event was supported by Alexey Voevoda, Russian Olympic athlet, vegan, twice Olympic champion in Sochi 2014, silver winner of Olympics in 2006, bronze winner in Olympics of 2010, World Champion in 2011, Acknowledged Master of sports in Arm-wrestling and bob sleighing. On the World Day of Protection of Laboratory Animals (24 April), Alexey Voevoda said: Today, 24 th of April, World Day of Protection of Laboratory Animals , I call out to every not indifferent person to support the initiative of Cruelty Free International in their mission to ban animal testing for cosmetics in Russia and worldwide. Cruelty in the name of beauty cannot be justified. Let’s stop the torture! More than 150 thousand Russians have supported our call to move in the direction of a law that bans these practices. Latest news on the progress with the Duma in October can be read here.